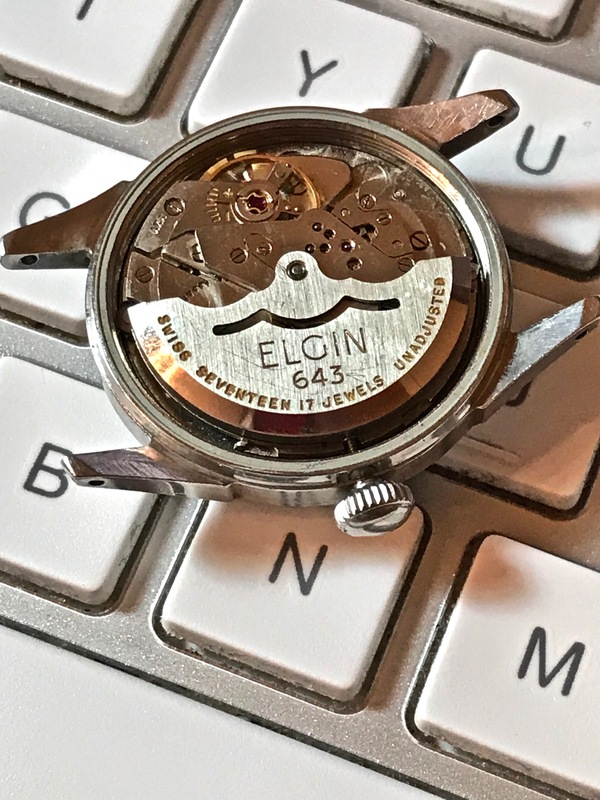 1954 Elgin Nautilus | Grumpyguy Inc. 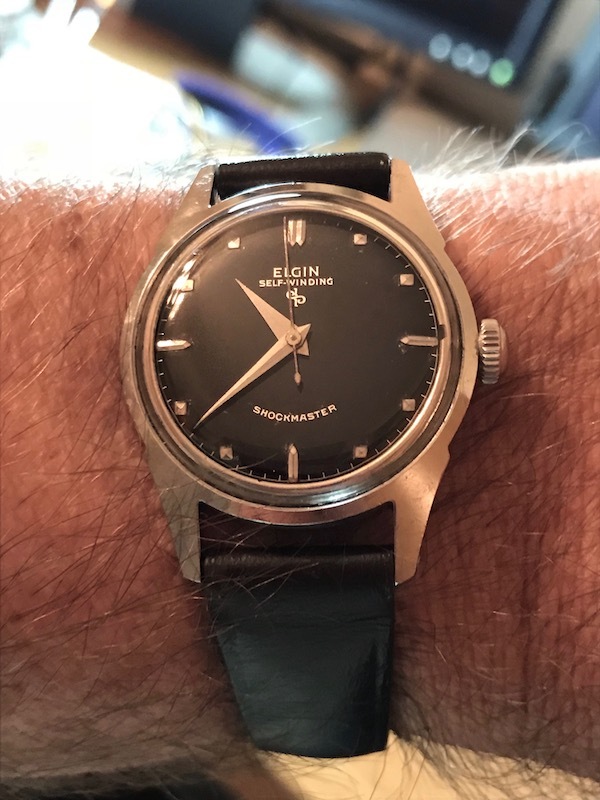 I finally found one with a decent dial and a price I could afford. 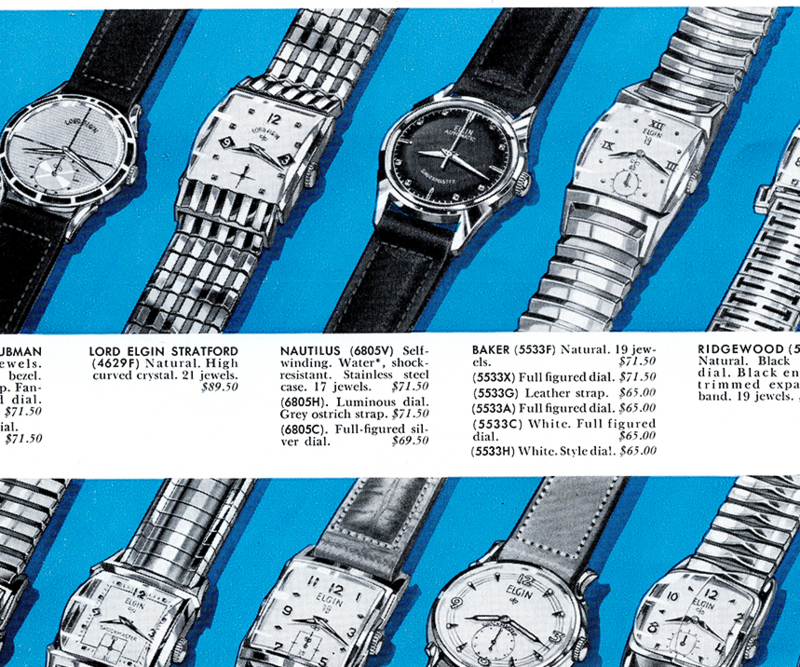 The 1954 Elgin Nautilus often goes for lofty prices. 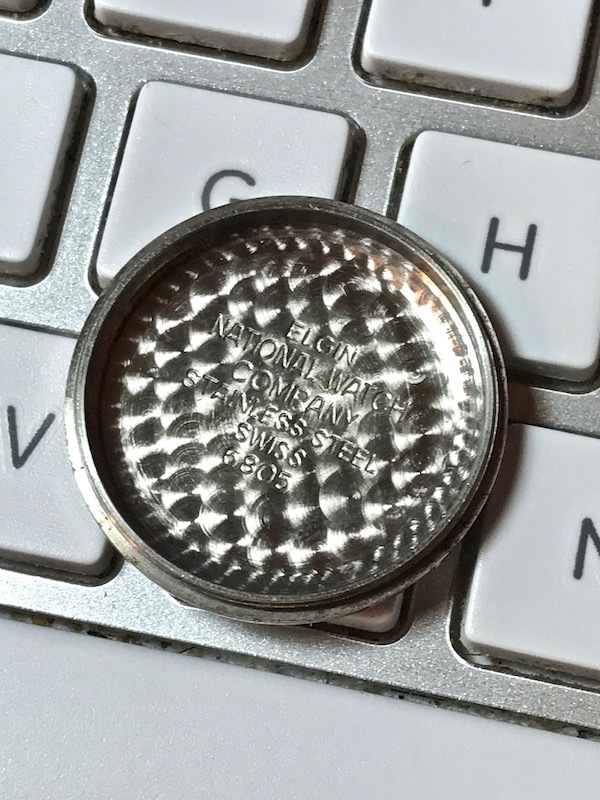 Luckily, I found one with a good dial. 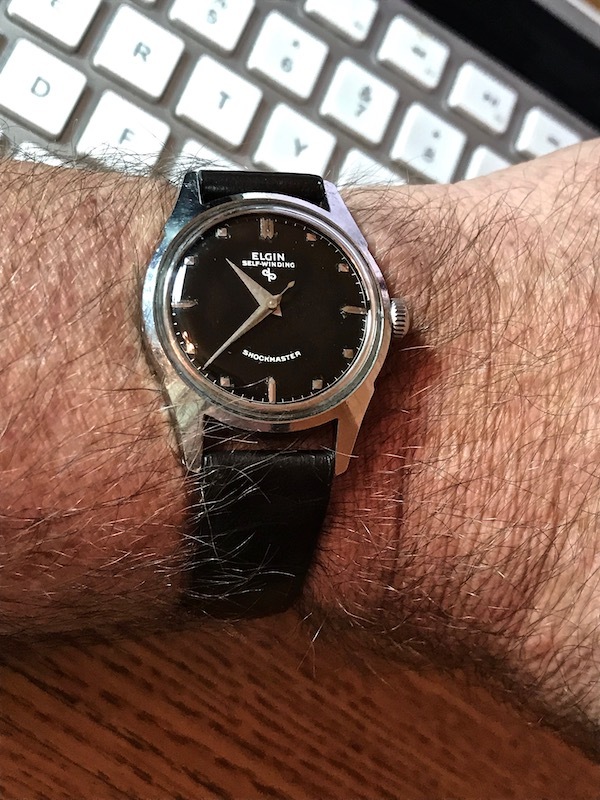 I mean, who can pass up a nice black vintage dial? 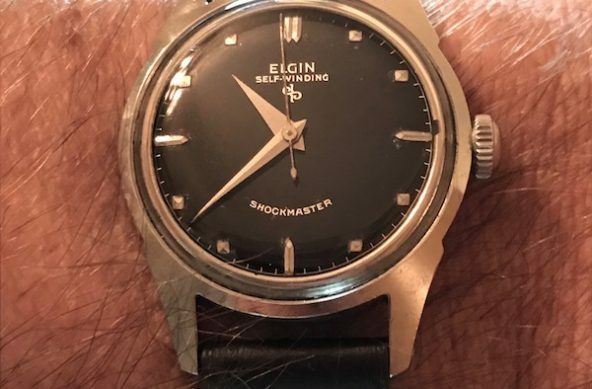 This one is a “low” end Elgin. 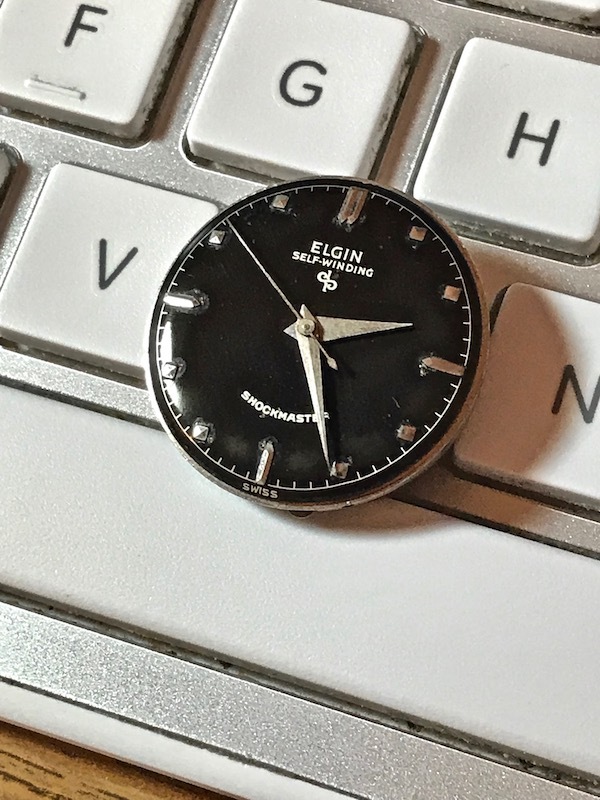 It is Swiss made, as the case back doesn’t even say case or timed by Elgin. The movement is the 17 jewel, 643 Swiss made automatic. It is case 6805.